Mention Manchester in sporting circles, and thoughts inevitably turn to the two world-class UK soccer teams, City and United. But Manchester, Connecticut on the east coast of the USA has a long-running road race whose organisers have ambitions to make their event as well-known in the world-wide athletics community. The race certainly has history on its side, in more ways than one. As usual, tomorrow, Thursday’s event will take place on Thanksgiving Day, a seminal date in the US calendar, since it celebrates the first successful harvest by English settlers almost 400 years ago. As for the event itself, the Manchester Road Race celebrates its 82nd running tomorrow. Reflecting those ambitions, this latest edition boasts the deepest elite field in history. And with a 10am start, there’s plenty of time to get home for the turkey and cranberry sauce. Heading an entry which features a dozen Olympians is defending men’s champion, Paul Chelimo, who won Olympic 5000 meters silver in Rio 2016, and bronze in the World Championships last year. Second a year ago, Kirubel Erassa will attempt to turn the tables, while two-time Olympic medallist in the 1500 meters, Nick Willis of New Zealand also returns to a race he won in 2005. But with the best elite field in the race’s history, there are plenty of other contenders. Edward Cheserek brings miling speed to the party. A 17-time national collegiate champion, earlier this year Cheserek ran the second fastest indoor mile in history, 3.49.44, in Boston. Another prominent contender will be Hilary Bor, seventh in the Olympic steeple in Rio. 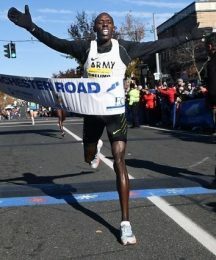 Bor is just one of several former Kenyans now competing for the USA as members of the Armed Forces, who followed an initiative begun by the French Foreign Legion at least two decades ago. Runner-up in 2016, Leonard Korir is another Armed Forces Olympian, a 10,000 meters finalist both in Rio two years ago, and London 2017. This is Chelimo’s third time in Manchester, but if it’s longevity you’re looking for, Amby Burfoot is your man. The native of nearby Mystic, who won the Boston Marathon fifty years ago this year, and who also won this race nine times, competes in his 56th consecutive MRR. Burfoot went on to be a prominent track journalist and magazine editor, so is one of the few athletics’ writers who knows whereof he speaks. The women’s race also has an in-depth elite, with defending champion, Buze Diriba of Ethiopia facing athletes who won the three prior races; Diane Nukuri of Burundi won in 2014/5, while the 2016 race was won by Emily Sisson, whose training partner Molly Huddle, US 10,000m/half-marathon record holder, was just edged out of victory in the final strides last year. Winner Diriba, a world junior 5000 meters champion in 2012, also won the New York City half-marathon in March this year, with Sisson in second place.  The race is an unusual distance, determined by the original circuit – just short of 4.75 miles, or 100m+ short of 7.5k. But what is increasing is the prize money, with the winners’ rewards almost doubling this year, from $3000 to $7000; and second and third place by $1000 and $500 respectively. In addition, there is a spot-prize bonus of $1000 for the first man and woman to the top of Highland Road hill, and $2000 for breaking the course record. The men’s mark stretches back to 1995, when Philemon Hanneck of Zimbabwe ran 21.19, a time matched by Aaron Brown in 2012; but the women’s record, 23.57 is brand new, set by Diriba last year. Race Director Jim Harvey said, “This is possibly the best field ever in the Manchester Road Race, and probably the best field in the US this year outside of the major marathons, Boston, New York and Chicago. We’ve got two great fields, I’m looking forward to an exciting race; and we’re looking to kick on from here, and improve all aspects, year on year”. start time: 10am Eastern US; 3pm UK; 4pm Europe.